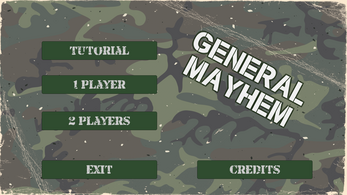 Destroy the enemy fortress and assassinate enemy general with the help from your troops. 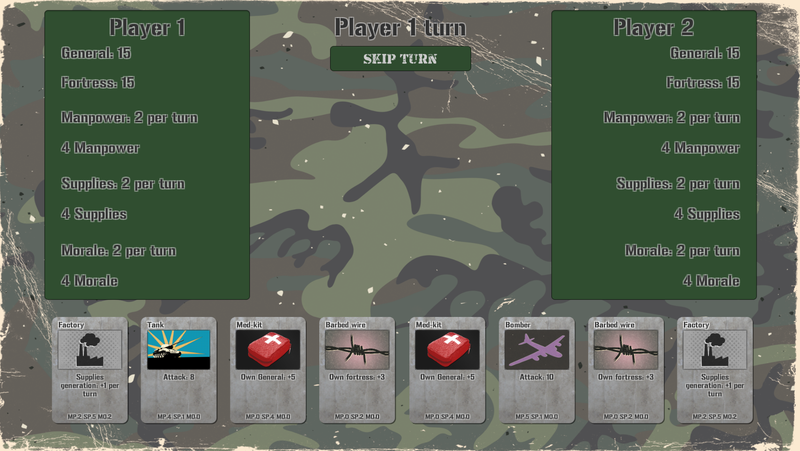 Use items ranging from barbed wire to nukes to defeat your enemies. 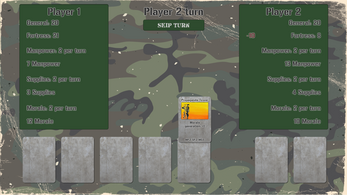 Easy to learn but fun to master card-based gameplay. 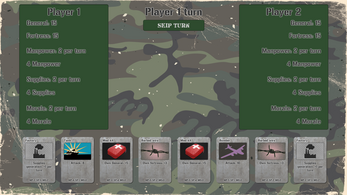 Play with AI, or challenge your friends in a local multiplayer match. 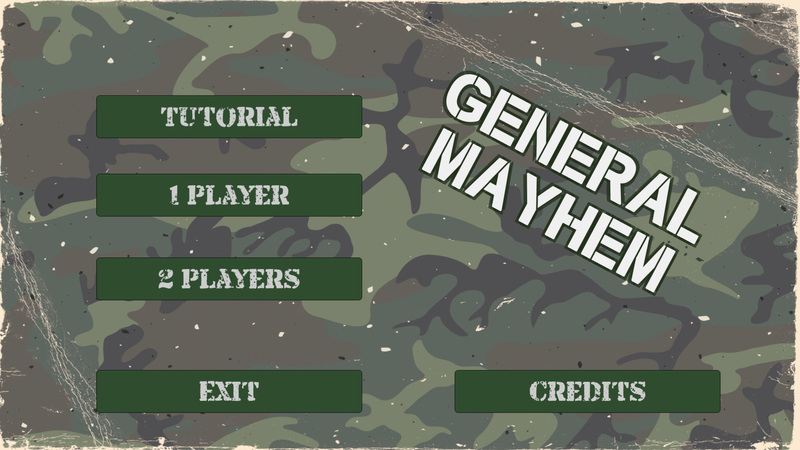 So download the game, give it a go and leave a comment to let me know what you would like to see in the future versions of General Mayhem! 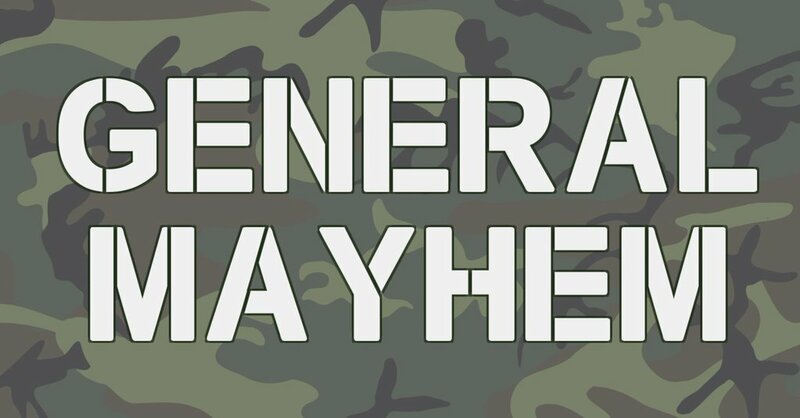 Just unzip the downloaded package and double-click the General Mayhem.exe. Simple as that!